Bookstores used to be everywhere in Los Angeles, but after the rise of the ebook industry, no shop was safe from closing. Even Barnes and Noble are a rare storefront to find nowadays. It's as if bookshops had no method of survival but to sell merchandise other than books. It's not uncommon to find coffee or toys in your hand before someone starts flipping pages open in the next aisle. One would think that used book shops were the only facility left to stay true to the definition of a "bookshop". But then, there's Vroman's Bookstore. 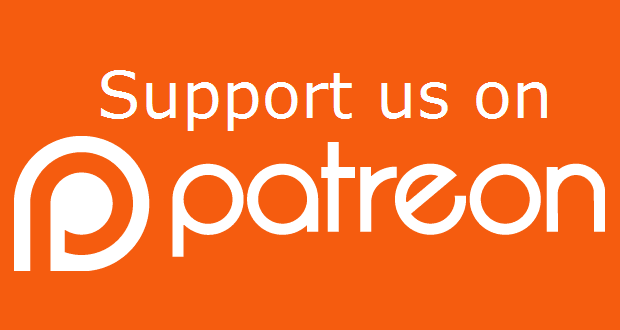 This place is not only a brilliant space for readers, but an amazing introduction to books that aren't distributed by Hatchett or Penguin Random House. Unlike Barnes and Noble, Target, and all the other supermakets, like Vons and Ralph's, Vroman's is independent. And here, small press, indie writers, and many more are safe under the wings of this Pasadena book Haven. 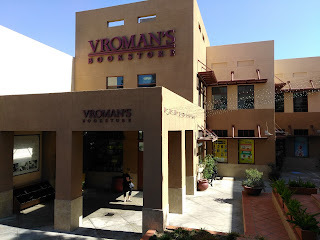 Founded by Adam Clark Vroman in 1894, Vroman's is best known as the largest independent bookstore in Southern California. 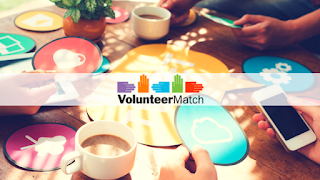 Famous for its author signings and events, including children’s storytimes, trivia nights, craft classes, bake-offs, and special launch parties. Authors, such as, Anne Rice, Neil Gaiman, and President Bill Clinton have held panels here once. The selection immense, and the customers are legitimate book lovers here. No pick up artists wasting space for wifi in Vroman's. It's a Bibliophile's Paradise! Alas, there are coffee and toys here, but there are also book clubs and book festivals held by the community. 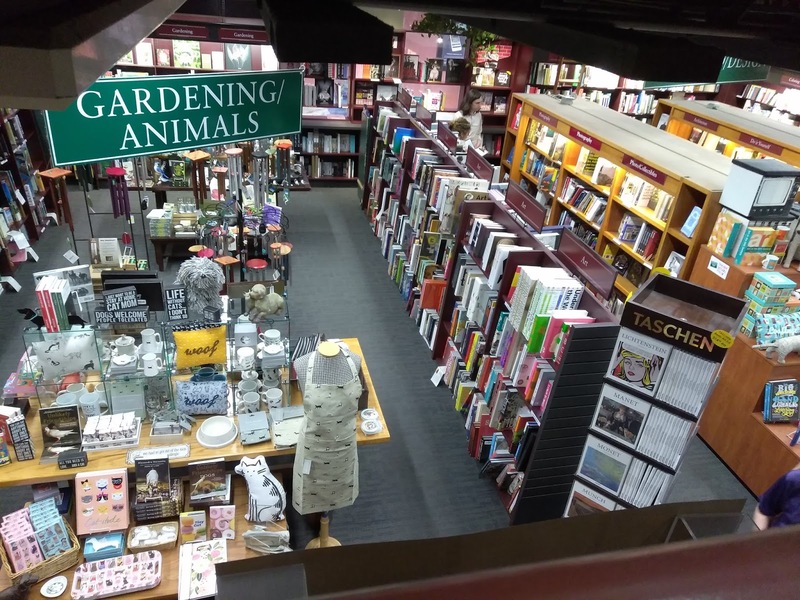 The bookstore gives back to the charities in town, and the reader's lifestyle is more relevant in Vroman's than in any other bookstore in LA. 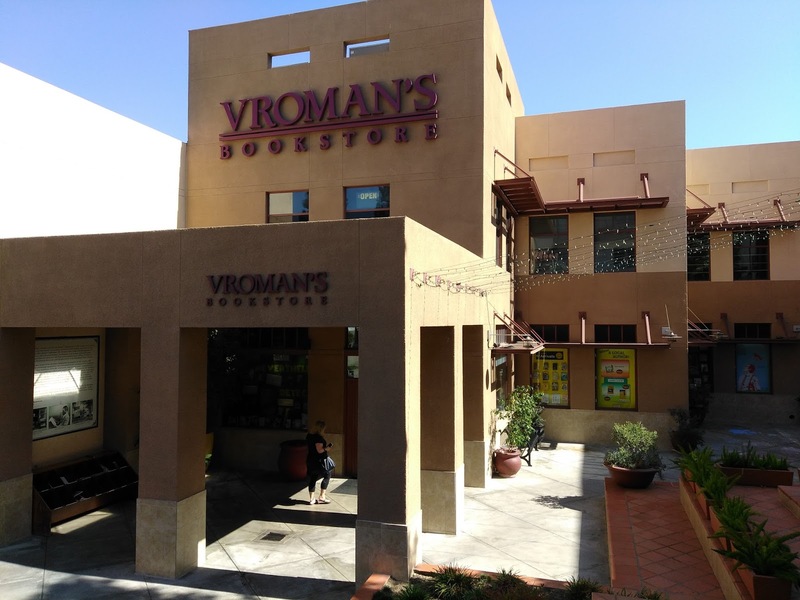 In Pasadena, Vroman's is not just a shop, it's an institution - an important landmark in Californian heritage.